London, Cornwall, Belgium, Berlin… 2014 was a year of traveling. 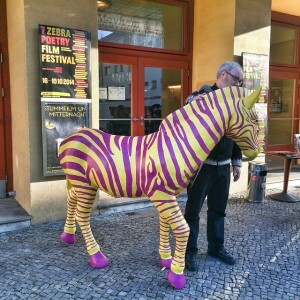 Somehow or another, people seem to gotten the idea that I know something about videopoetry/poetry film, so I was invited to take part in a panel discussion at the biannual ZEBRA Poetry Film Festival in Berlin this past October. They paid me and everything. It was nuts! The best part was, Rachel came over from London to join me, and we spent a week exploring Berlin and taking in poetry films from all over the world in a grand old theater, in the company of friends old and new. 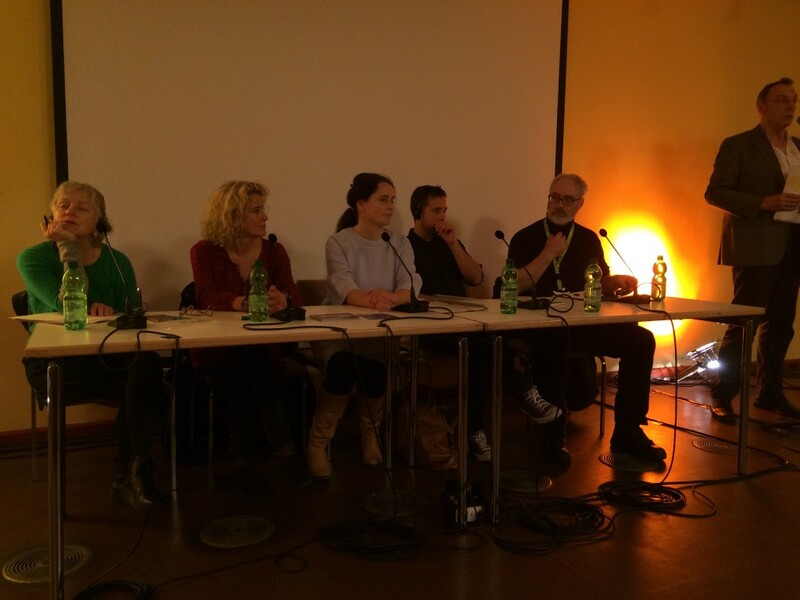 The panel was titled “Poetry Films in the Digital World,” and it was surprisingly well attended, by which I mean that every seat (100 or so?) was taken—at least until the one-hour mark, when we took a break and half the audience fled. The thing I liked about it was that it was a real colloquium discussion, not one of those wretched series of Powerpoint presentations that passes for a panel at most American academic conferences. Then again, this was a festival, not a conference. Our job was not just to inform but to entertain, and I did my part as best I could in my usual, hyper-caffeinated, words-tumbling-all-over-each-other fashion. Also, there was simultaneous translation into German and English! It was just like being at the U.N. The two translators took turns, and they seemed equally good. I was in awe. The trick for me, I think, will be to keep the work-load manageable. So far it has been. I feel particularly fortunate to have gotten a new columnist, the artist and animator Cheryl Gross. Yep, we met in Berlin. I posted two photo-illustrated posts about the trip to Via Negativa: “On Berlin walls” and “Berlin in black-and-white.” I also had a great nature walk right outside the Stockholm airport on the way there, and a very memorable flight home. As for my summer jaunts, I blogged about “Embodied Belgium” as well as a bunch of stuff from the U.K. One of the latter is due to appear in a print publication, I’m told — more about that if/when it arrives.